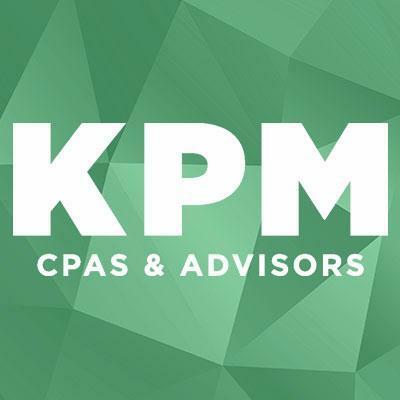 At KPM, we believe a career in accounting requires a unique platform to learn and advance. That is why we provide a collaborative working environment. We know our employees are the key to our exemplary client service and vibrant culture. Our career professionals have ample opportunities for advancement, competitive benefits, volunteer opportunities, and a family-friendly atmosphere. We pride ourselves on our dynamic working environment. It is important that each employee wants to be here and, as such, we do our best to provide ample opportunities for fun and development. We encourage giving back to the community through our KPM CARES program and as a part of this, provide hands-on volunteer opportunities and professional development through memberships and activities for growth. We also take every opportunity we have to celebrate together as a firm. KPM offers a competitive benefits package that includes employee and family health insurance options, retirement plan options, profit sharing, life insurance, paid time off and paid holidays, paid CPE to meet CPE license requirements, business development and staff referral bonuses, and more. At KPM, we are truly embracing one of our firm’s core values – ‘Public Spirit’ and making tomorrow better than today. In celebration and recognition of team members who exemplify this value, KPM offers the ‘Spirit’ award to one deserving team member each month. A team member who has been recognized by a peer or supervisor for embracing the firm’s vision, mission, and core values is eligible for the honor. Each KPM team member completes the GALLUP® StrengthsFinder assessment, which analyzes responses to a set of questions to determine an individual’s five signature strengths. Through the StrengthsFinder assessment, insights are gained into team members and their natural talents. Coaches and team members discuss the results and their signature strengths, and coaches then help their team members continue to play into their strengths or provide further guidance to draw these talents out to experience peak performance. The purpose of the coaching program at KPM is to enhance performance and nurture career development of team members. While the annual appraisal is a crucial component of the coaching relationship, it is merely one prong under the performance management umbrella. Team members have a number of responsibilities to themselves and their coach. Coaches and team members have regular conversations and stay in contact for feedback and guidance. At KPM, our coach and team member relationships are built on two invested and dedicated partners. "This firm is family friendly and cares about its employees. There is adequate time given for the extra activities in life and it is encouraged to spend time outside of the office. I feel that KPM knows that if it treats its employees well there is a great response from the employees who will be willing to put more effort into their work." "There is a lot of flexibility allowed here and a balanced culture that promotes family along with working hard." "The firm has created a family friendly and flexible work environment that encourages growth and advancement. I feel KPM cares about my professional career and development as well as my personal well-being." "KPM has a relaxed culture while maintaining a standard of excellence. Family life balance is encouraged and private offices are provided instead of cubicles. We also have the opportunity to discover our personal career strengths over time rather than choosing a career path on day one and enjoy a generous PTO policy that allows a great deal of flexibility." "KPM emphasizes flexibility and work-life balance. KPM works hard to keep employee morale at a high level. KPM provides opportunities for employees to socialize both during work and outside of work. There is no cubicle environment, all staff have offices. The people at KPM like to have fun and enjoy life, which makes KPM a great place to work." "KPM embraces values that are important – quality work, being a positive member of our community, supporting personnel both professionally and personally. KPM really operates with a feeling of ‘leaving this better than it was’ in all aspects of client relations, employee relations, and community relations." "I like the respect that is given to the employees no matter what their title is. Everyone is treated the same. You are given recognition when it is due. If there is something that you need to do better it is expressed to you with great thought and respect. Great firm – I can't think of anyone that would not want to work here." "KPM is family-first environment and the whole firm feels like a big family." "KPM is a friendly, laid-back atmosphere that cares about their employees." "I am always reminded of my value to this firm and treated with respect. My work and home life are very balanced, and KPM does their best to work around family life." "Great culture that pushes the staff to their full potential while being patient when doing so. I like that the staff is generous with providing knowledge to one another, and getting the job or task completed seems to be the priority, not style points for who is smarter." "Every team member, whether shareholder, manager, supervisor, staff, or administrative, is treated as an adult. Everyone is trusted to act in the best interest of the firm. Because of that, we hold ourselves accountable so we preserve the trust of others. The firm's culture allows us to embrace our individuality without compromising our professionalism. I like to say that the firm is large enough to handle any job, but small enough to still care."